Remember back when the looming thought that email marketing was becoming irrelevant hit the headlines? Yeah, that gave us all a good scare. One of the main reasons email has lasted so long is that it delivers a solid ROI, regardless of industry. On average, email marketing delivers a return of $32 for every dollar invested and it's listed as the No. 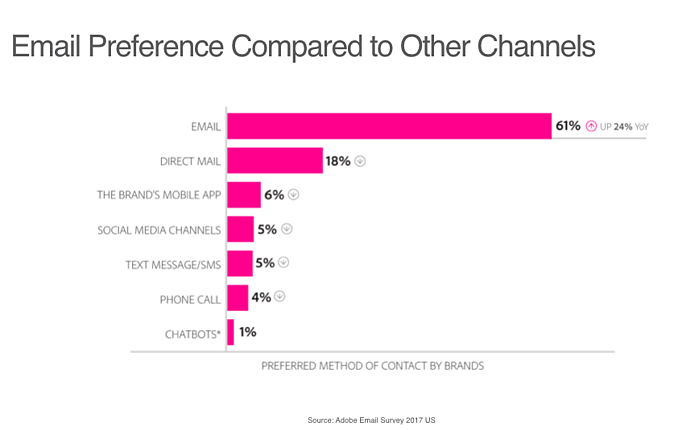 1 preferred method of communication from brands compared to other channels. In addition, email is the third most influential source of information behind colleague recommendations and industry thought leaders. So the reality is, email isn’t going anywhere, at least not right now. The benefit to consumers is that they have the most control over who gets into their inbox over other channels. The ability to update preferences, unsubscribe or mark as spam gives consumers power over what content they receive and when. With email proving its value, budgets are opening up. Fifty-eight percent of businesses are planning to increase their email marketing budget. And as audiences come to expect more personalization, unified brand experience and helpful relevant information, it couldn’t be a better time. Given the updates to technology and audience expectations, how can you ensure your email marketing is performing at the top of its game? In today’s age of instant gratification, we’ve become accustomed to a certain type of online experience. Audiences have come to expect intuitive designs, quick load times and tailored suggestions. To stay in line with this expectation, there are several helpful pieces of information to keep in mind when creating your emails. When it comes to content, the email subject line plays a significant role in whether a contact chooses to click on your email. However, what we’ve discovered might come as a bit of a surprise. When it comes to your subject line, the length matters less than you think—what matters most is sentiment. Based on your brand, set a tone that allows you to connect with your audience. Is it humorous? Urgent? Professional? What will resonate most? Emojis can be a welcome addition to your email subject line. They make a well-optimized subject line better, but be wary where you use them because they can also make a bad email subject line even worse. In our easily distracted world, it’s best to keep things simple. But remember, simple doesn’t have to mean shorter, it just means clear, concise and to the point. Your message can be a little longer if it efficiently and effectively gets your point across. 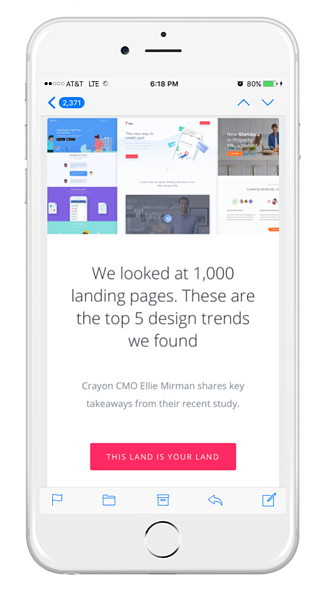 Designing with a mobile-first mentality means creating an easy-to-navigate experience with the flick of a finger, images optimized for smaller screens and content you can read and interact with easily. With so many different phone and tablet sizes, you can’t possibly design for them all. However, following best practices and testing your email with tools like Litmus or Email on Acid can help you optimize for the majority of user experiences. Not everything needs to be full of bright colors, an overwhelming amount of imagery or animation. Direct the eye of your audience on what you want them to do in your email by using the space around your content and images. Use simple, easy-to-read fonts. It may be tempting to spice up your email with a fancy font, but using a universal font is the way to go. 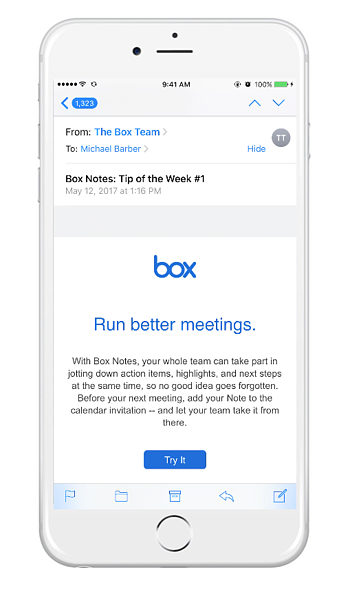 This ensures your contacts will be able to see the content in your email regardless of device and platform. A picture is worth a thousand words, but only if you can see it. Use quality images in your emails. Make sure they’re large enough to see clearly and compressed for better load speed. Keep in mind that some technology (voice assistants and smart watches) may read the text version of your email, so be sure it’s cleaned up. 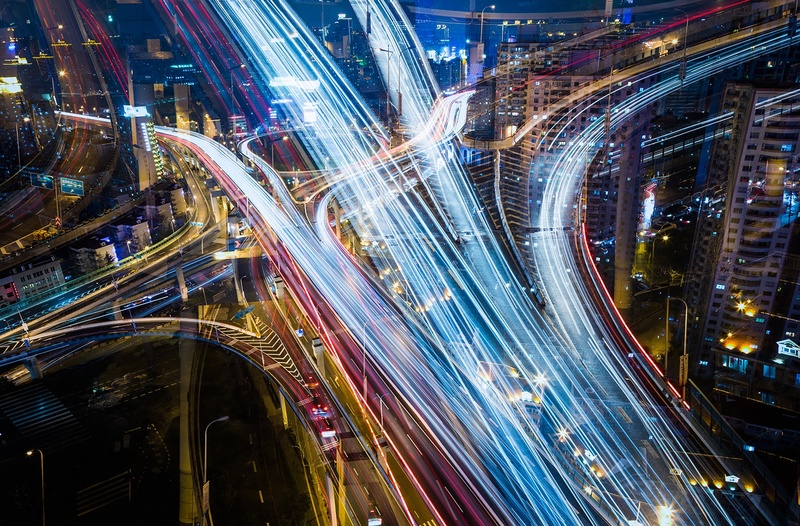 People are constantly on the go and make decisions quickly. Make it easy for your contacts by directing them to the desired action they should take. Don’t be afraid to use a CTA more than once in a different format (image vs. linked text) or with different wording, but keep them focused on one main goal. Make sure your subscription preferences are clear, easy to use and branded. If you have subscription types, allow people to choose their preferences (clearly labeling what they will get with each type). And, most importantly, don’t hide the unsubscribe. Segmenting your audience can make all the difference. In fact, on average, an email that uses a segmented audience earns a 14 percent higher open rate than one that doesn’t use segmentation. Some of the most common ways to segment your audience are geographic, demographic and psychographic, but when it comes to B2B, behavioral is your best bet. Behavioral segmentation can be further broken down into categories that serve different content based on engagement, intent, occasions or lifecycle stage. Some of the most successful campaigns can be categorized into three different categories: Pre-sale, post-sale & evangelist. The best pre-sale campaigns drive customers by educating them about the business, helping identify the best solution for them and sharing how others are using the product or service to achieve positive results. Post-sale is all about providing customer service. You don’t want to overwhelm your new customer with emails, but you can do things to ensure they have the best experience possible. Always thank them for their purchase and share important and relevant information (like FAQs, details and resources). Show your new customers how to use the product or service for the best results and how they can get the most out of it. After a reasonable amount of time passes, check in with your customer and consider sending a survey to get a pulse on how things are going. To grow your satisfied customers into evangelists, you can start by offering replenishments and additional products they may be interested in. Avoid suggesting something totally unrelated to their purchase history and keep things tailored to their preferences. You can also create a loyalty program that offers early access to products or services, special promotions and discounts to encourage return customers. Welcome Series/Onboarding - Once a contact has made a purchase, welcome them, share what they can expect and help them understand how to get the most out of your product or service. Birthdays/Anniversaries - People love to be acknowledged. Sending a “Happy Birthday” or anniversary email reminds customers you’re thinking of them and a discount code or gift encourages them to buy. Pre & Post Event - Keep your contacts in the know by sharing important information for upcoming events they’ve signed up for and sending a follow-up or resource materials after the event is over. Customer Data - If you collect data about your product or service usage, you can share information about how customers have used it throughout the year. This could be past purchases, how they’ve used your product or how much they’ve saved by doing so. This is a friendly reminder of how they’re benefitting from your business. Meeting Scheduled - Once a meeting has been scheduled, send a reminder email. Share meeting details and help your contact be as prepared as possible. Transactional - Once a transaction has been made, send a confirmation email to help your customer know the details of their order and any other relevant information they should know, such as shipping. A commonly forgotten part of segmenting and automation is knowing when to end a workflow. If the whole goal of your campaign is to get someone to buy, you should stop bombarding them with first-time buyer discounts and introduction emails after they’ve made a purchase. Once they become a customer, they should be getting a different message. Likewise, if they haven’t engaged with any of your content or purchased from you, maybe it’s time to slow down. Sometimes, less is more. There are a few ways you can use emails to build strong relationships with your customers and that doesn’t mean you have to start after the sale. Looking at how consumers are viewing email, we find that nearly 50 percent of emails are opened first on mobile, with webmail following as a close second around 35 percent. While most consumers use mobile as their go-to for checking email, the majority of conversions for B2B still occur on desktop. Ensure your brand experience is consistent across devices and optimized for the conversion. If you’re going to get personal, be sure to test that you’re pulling in the correct information. You don’t want to miss any pieces in your HTML code and you should have a default if you don’t have a particular piece of information for a contact. Canada has had an anti-spam law (CASL) in place for a few years, and the European Union launched its own law on data protection and privacy, referred to as GDPR (General Data Protection Regulation). This new law might’ve come as an unwanted surprise to many businesses, but it comes with good intention. To explain it simply, the purpose of GDPR is to ensure fair and legal collection of personal data and holds accountable those who collect and manage personal data for misuse and exploitation. Check your company’s GDPR compliance with HubSpot’s free checklist. To stay ahead of the game, you need to take into consideration how the landscape is changing. Technology is constantly making our lives more convenient and new standards arise to combat societal issues. How does this affect your marketing plan and how you write? Here are a few things you should keep in mind as you create your emails. With wearables becoming more popular, it might be time to think about how your content is appearing on them, specifically emails. On some devices, the plain text version of your email will apply by default. Which means it’s important to revisit how your plain text email is formatted. Many voice assistants have the ability to read your emails out loud, and, although this may not seem like a big deal, having an email that reads well (literally) is now more important than ever. For example, Siri, one of the most popular voice assistants, follows a static formula when reading email. She will read, “(sender name) sent you an email about (subject line). It says (preheader & following characters up to 499). Would you like to reply?” While being able to hear your emails out loud when you’re on the go sounds convenient, there are a few things marketers must now think about for the best user experience. Does your email have proper preheader text? While many email platforms have the ability to hide this, Siri still recognizes this and will read it off as part of the 499 characters. Consider how it sounds. Unlike a human, Voice Assistants like Siri don’t always recognize correct pronunciations, acronyms and breaks, so it’s important to optimize for voice by keeping it simple, including common words and consider that it could be read faster than intended. Try typing it in and having a voice assistant read it to test. Voice assistants will read links (and they’re no fun to listen to) so be sure they’re not taking up valuable content space in the first 499 characters. As you consider adding more interactivity to your emails, you should take into account different user experiences and platforms and whether certain types of interactivity are supported. If not, always have a default that makes sense for the user experience. Thus far, email has stood the test of time. It has proved its value as one of the most successful forms of marketing, but as we know, our world is ever-evolving so your email marketing should, too. 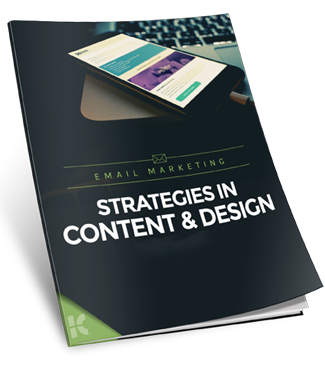 Know the best practices that keep your emails performing well, and stay up to date on the latest trends that may shift your email strategy. If you aren’t sure where to start or how to update your email marketing plan to account for these changes, consider partnering with Kuno Creative to keep your strategy relevant and your emails delivering the best ROI.